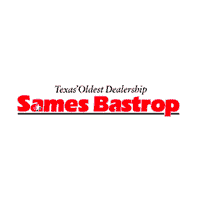 Looking for the perfect used car near Bastrop? Choosing a pre-owned vehicle from Sames Bastrop Chrysler Dodge Jeep Ram ensures you’ll be getting a car that has been thoroughly inspected for quality. Beyond that, our rotating selection of used car specials means you’ll be able to get a great used car at an even better price. View our offers below, and contact us today with any questions you may have! Found the right car for you? Come visit our Chrysler, Dodge, Jeep, Ram dealership near Del Valle and our knowledgeable sales team will get you started on the car buying process. Our expert finance department can help you figure out the best budget for your specific situation. To save even more money of your next car purchase, consider trading-in your vehicle with us and take some money off that asking price!